Next add soil to the frame, shaking it to make sure it's filled evenly throughout. 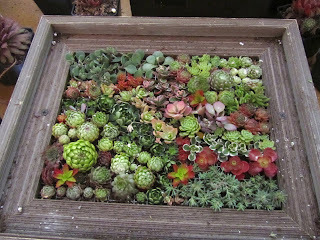 Gather your succulents for cuttings. 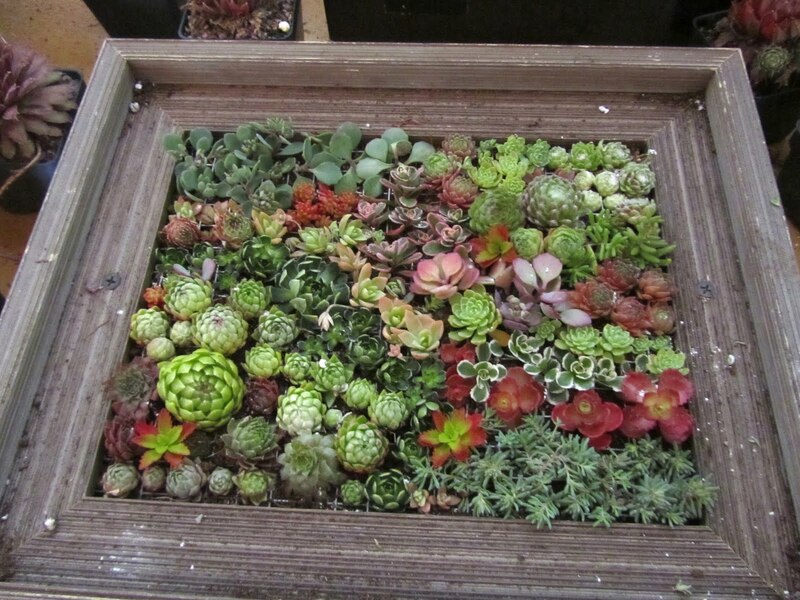 Take succulent cuttings and dip them in rooting hormone. Place them inside the frame. Filling the frame with different sizes, colors, and textures. Here is the finished project. It now must sit for about 2-3 weeks in a dark area with no water to allow for the succulents to root. Very nice!! Lots of detailed effort. I saw a nice one on the Outagamie County Master Gardener's Garden Walk.What will you do with it over the winter? Inside or outside? I am planning on keeping it outside under a styrofoam cooler or perhaps in the garage. That's a lot of work. How long does something like that last? This is SUPER cool, Jen! Those little succulents amaze me. Mark's mom got us an old shoe full of them a couple years ago...it survived the winter and is still going strong. Some of the ones we've planted amongst the rocks sprouted tall, really cool flowers this year. Where will you set/keep your frame?